We are primarily a production company NFD Productions that believes 100% in “Training while Creating” and it is the core philosophy upon which all our actor training is based. 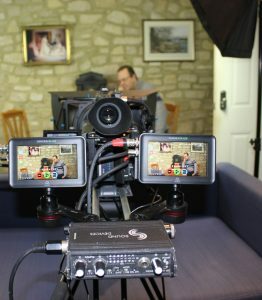 That of course means our actors benefit from the extensive professional filming equipment we have, and the unique opportunities in our productions. For example working with named actors such as Jamie Lomas and Persephone Swales-Dawson who were in our “Risk Takers” TV pilot recently. Due to the ongoing success of our award winning film and TV productions we have taken the decision in 2019 to limit the total number of actors we train. As a result we are now reducing the number of places available on our courses. (Admittance to the advanced acting classes are conditional on successful completion of the film and TV course which requires a minimum attendance of 10 out of the 12 sessions). This is a sample scene from Crooked Billet “FEATURE” film from NFD. 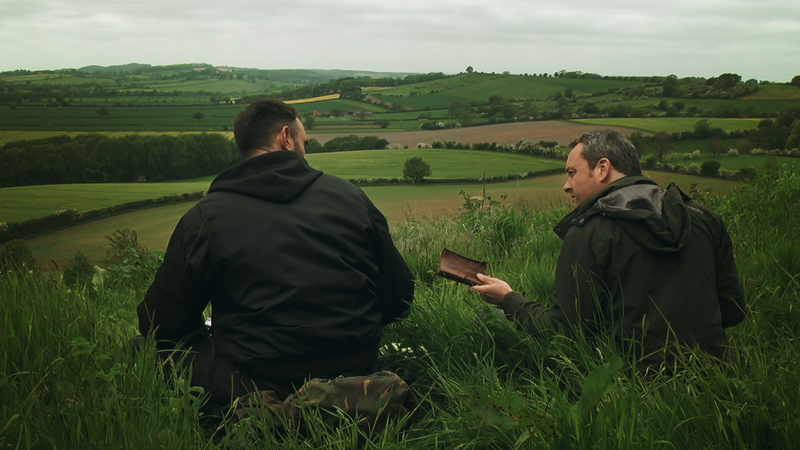 It is a key part of our very unique on set training that all our actors get to be part of the internationally award winning films and TV programmes we make. This provides second to none acting experience, top class showreel material, Spotlight professional acting credits (feature films), Imdb professional acting credits. All courses are a 12 week cycle of separate training modules. Sessions vary in length from 1.5hrs to 2hrs depending on the subject taught. Film and TV Acting Course Leeds – Our Classes are small friendly and personal to get to know you really well with average class sizes of just 4 – 7. We only teach in small groups as workshops will never deliver the level of individual training you need to succeed for worth while parts. Film and TV Acting Course Leeds – Classes are held in our own purpose built film and TV studio where we can instantly play back your performances in comfort, not some large open space sterile hall or community centre. That way you learn faster and better than anywhere else and we can maintain for you a personal friendly atmosphere that promotes remarkable progress from all our actors. To maintain the small friendly classes, numbers are strictly limited. 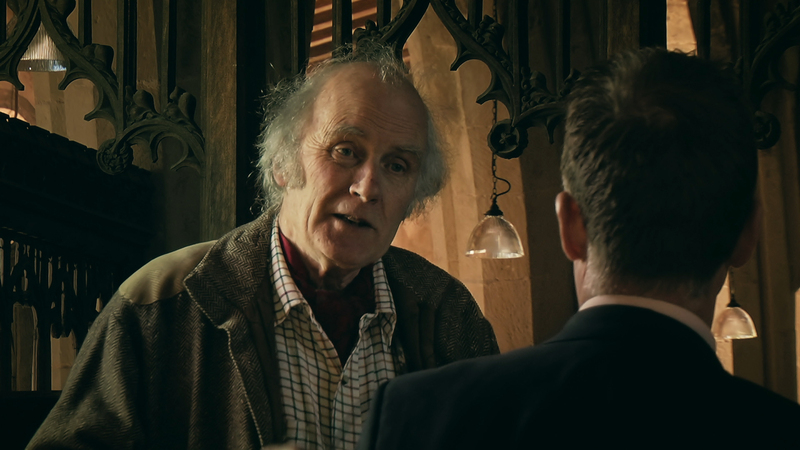 Still from the 80 minute multi award winning FEATURE FILM “CROOKED BILLET”. Film and TV Acting Course Leeds – Highly recommended for anyone looking to break in to Film and TV. This is a key course for beginners and or actors with previously only theatre training/just finished a drama degree, been out of acting for a while etc as this course actively prepares you specifically for Film and TV. Once students have successfully completed this course we would expect them to move across to the advanced classes and start to appear in our show case “Platform 2c” where we produce full feature length films (also in 3D and with advanced green screen work and some cross over with the teenage section with our TV show “RISK TAKERS”, and juniors with various short films) which go on to be shown all over the world. Gives the student a solid Film and TV grounding with a strong emphasis on acting to camera. WK 10 – How to produce the very best and most effective self tape audition to shows you off to maximum benefit. WK 11 – The differences between scripts and how to take advantage of them to make you look good. 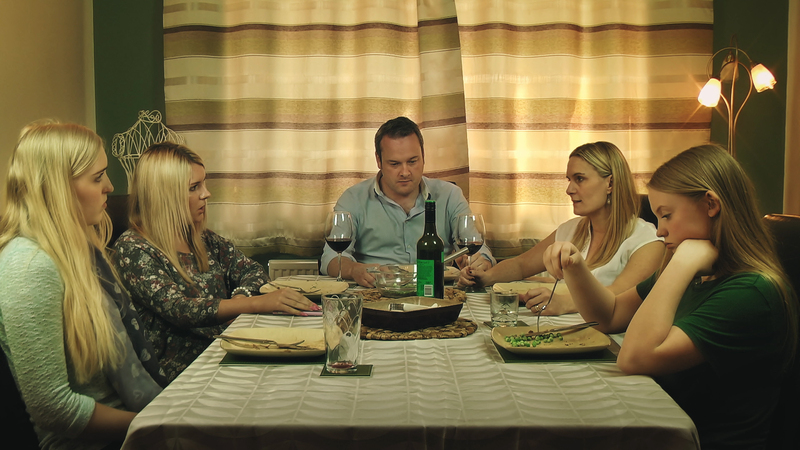 WK 12 – Creating a personal acting show reel and how to work with Green Screen to best affect. Students get to keep what they do in this class as their first show reel. 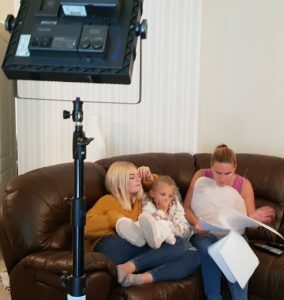 Film and TV Acting Course Leeds – You don’t need any experience and you can be any age from 16 – 80, you just need the dedication and determination to want to work hard and give it your best! If you have that, then we can and will get you there, no matter your experience or lack of it. Because our class sizes are small we can happily take students who need a more personal individual approach, often working near miracles with students who for example find reading harder than most and similar concerns. Confidence building is our speciality and all students rapidly improve often within only a few weeks. PLEASE REMEMBER YOU MUST FIRST HAVE RECIEVED CONFIRMATION OF A PLACE AVAILABLE FOR YOU. Students on successful completion of the course will be invited to join our successful Film and TV agency. There are many web casting organisations all claiming to make you a “STAR” and all less for spotlight deal in low quality work requiring little at best to no talent at worst. Extra work, short/student films, etc are often much more likely to harm your cv than help it, if you really want to get worth while parts. This is in our opinion the only worth while online casting organisation given all the substantial/main parts from Game of Thrones to the main Hollywood Films etc all appear here and generally no where else. If you don’t have the required credits to be on spotlight you can’t apply simple as that; so we work really hard to help you get the required credits.